Two years ago I wrote an article called "5 Tips for Vendor Directory Success" but with the redesign of our website, I decided to re-write this article and give it an update. 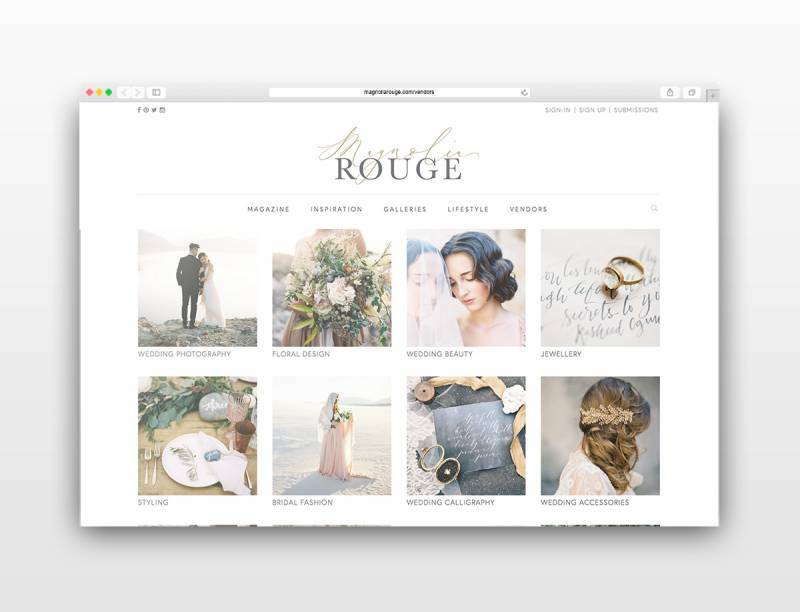 I've been building websites for wedding magazines and bloggers for over 10 years. Prior to this my wife and I ran our own wedding magazine and websites. One of the greatest things we have learned over these years is what works and what doesn't work in terms of building a directory. The wedding industry has an easily defined directory with Venues, Photographers, Planners etc., but directories aren't exclusive to the wedding industry. Directories work amazing for all kinds of information including City Guides, Travel Guides, Fashion and more. At the same time, they can be used to focus exclusively on one item like Venues as VenueReport.com has successfully accomplished. Today I want to talk about one of the tips I wrote about previously: LOCAL FOCUS. I commonly say within the wedding industry that nobody, other then Kate Middleton plans a "national" wedding. People plan local weddings and this applies to city guides, vacation and shopping too - we plan local vacations, we eat at local restaurants and shop at local boutiques. The best tip I can give a wedding magazine or blogger, is that your directory needs to be focused locally. But what does that mean? How does a directory become local? The test is this - could a bride plan their entire wedding on your website? Or could a person plan their entire trip on your website? If you had a city guide for Chicago and listed 2 restaurants and 1 hotel, how valuable is that to someone looking for information? Maybe a reader will choose one of the restaurants in your directory, but today's online audience is tech-savvy and their searching for the right vendors and businesses for their event. A directory needs substantial content (at least 50% of the businesses in your area) to be useful. Just imagine a travel website like Booking.com having 2 hotels for Hawaii - how long do you think that's going to last? Or a dating website having 3 people to choose from. Directories have a defined cycle of traffic, a user will search for content on a search engine like Google.com: "Chicago wedding venues", they'll navigate to your website, now they will either stay or leave based on the value of your data and they'll continue to come back if there is value. How or why will a user value your data? Let's dig a little deeper into local; I mentioned above that listing a minimum of 50% of the businesses in your target location/category is key. But if your directory now has hundreds and hundreds of businesses listed you run into a new problem - searching. Your local directory needs to be searchable and not just by "title". Venues need to search by capacity or styles, restaurants need custom searching by menu and dietary needs. Search is key to making your directory valuable and good search will drive more traffic. The last thing you need to consider for a successful local directory is the vendors' profile page. You want your users to stay on your website and engage businesses from your website. You will not succeed if all the engagement happens off of your website. Your website needs beautifully lauded out vendor pages, with images, galleries, info, and contact information. These pages need to contain all the essential data so that a user doesn't need to leave your website to find out more information. In fact, this is a page out of Google's own play-book. A few years ago Google started to display website content on their search results so that you didn't need to click into a website to find the addresses, phone numbers, and even instructions and descriptions. In closing, a directory is valuable when it lists a majority of businesses, is searchable, and users can engage with them on your website. Most importantly, a valuable directory drives traffic!